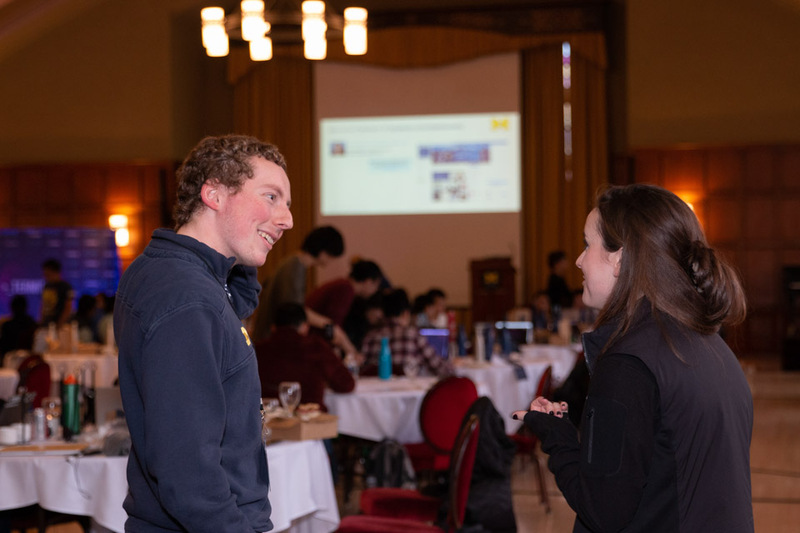 University of Michigan held a Coding Competition at the Michigan League on their Ann Arbor campus. 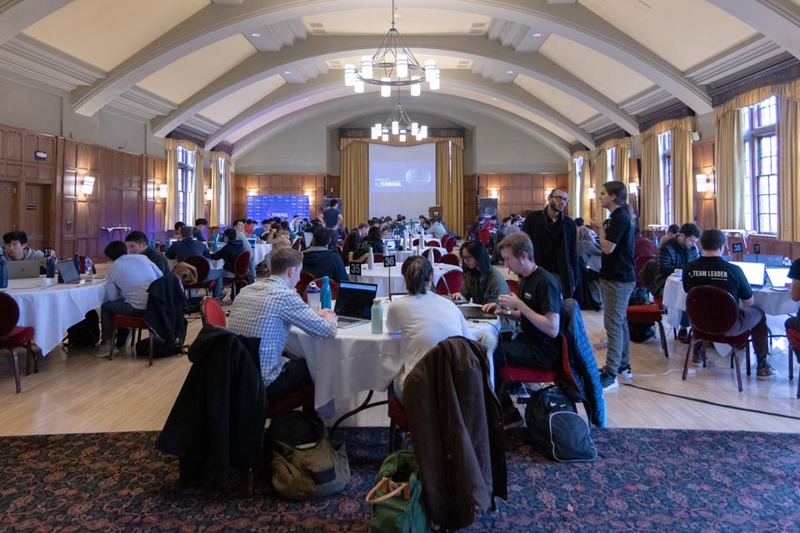 The competition started at 11 a.m. and students spent the day coding for Terminal, a game where the goal is to beat the “boss” by writing algorithms that would automate their gameplay. 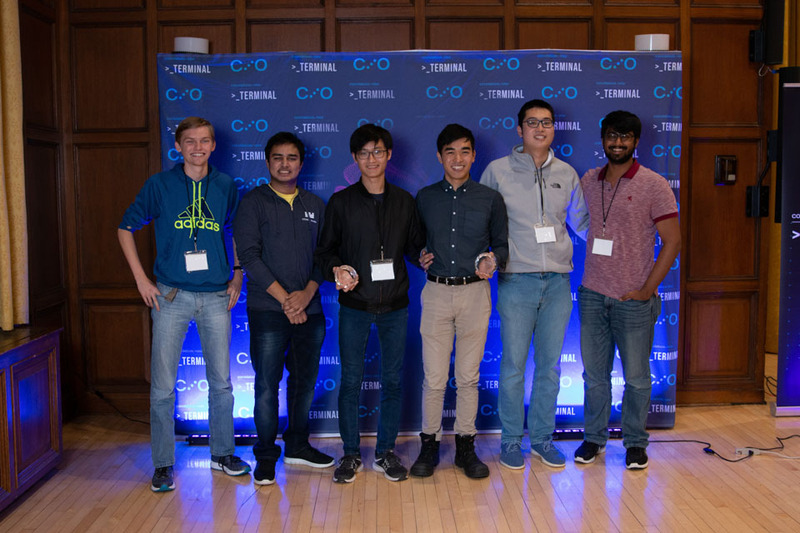 The students were broken into teams of three and together they worked to defeat the boss in Terminal and to win a cash prize plus exclusive job opportunities. 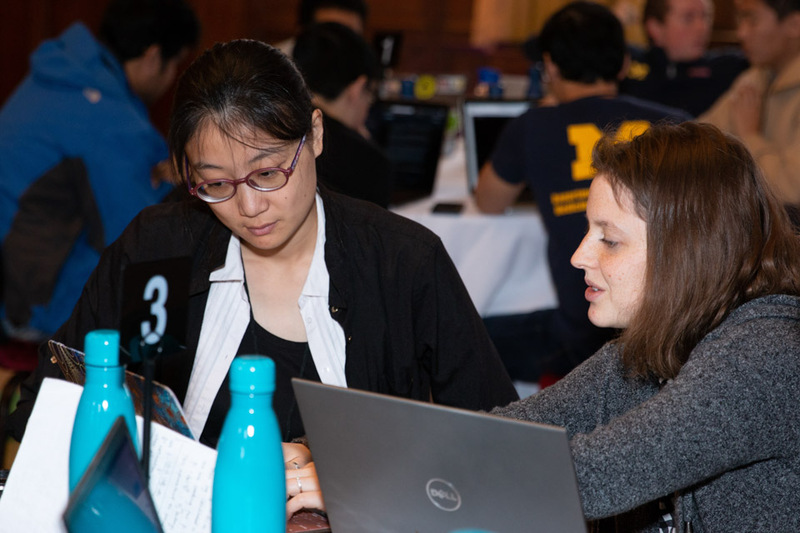 This event was hosted by Society of Women Engineers and Correlation One, and sponsored by Citadel Securities, who had recruiters present to talk with students about their interest in coding. It was an all day event with lunch included. At the end of the day, only two teams could win with their boss-beating algorithms. It was a super cool event to witness with so many intelligent and motivated young adults. Check it out! A look inside the Michigan League. 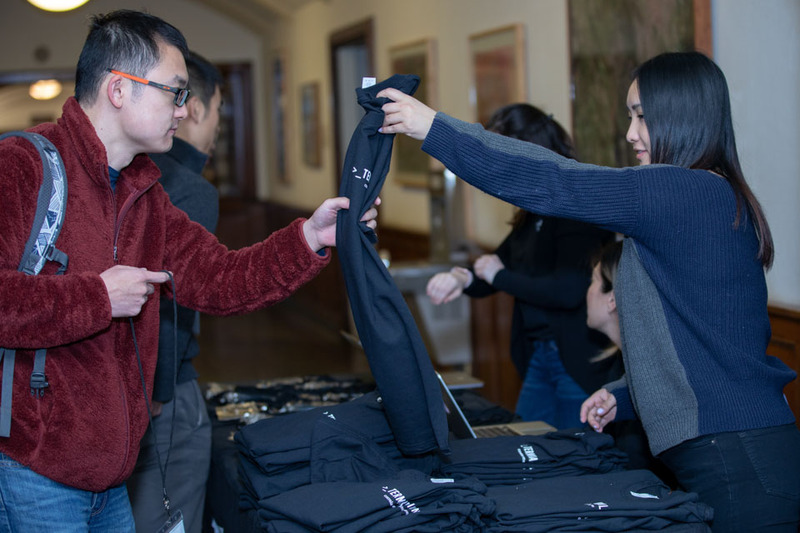 When students checked in, they received free “swag,” like these Terminal t-shirts. The back of the Terminal t-shirt. 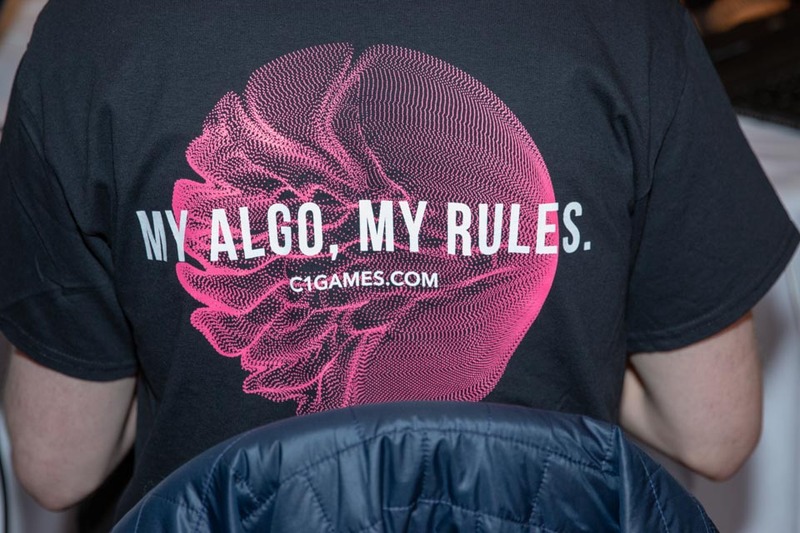 “Algo” is short for algorithm! An overhead view of the competitors. 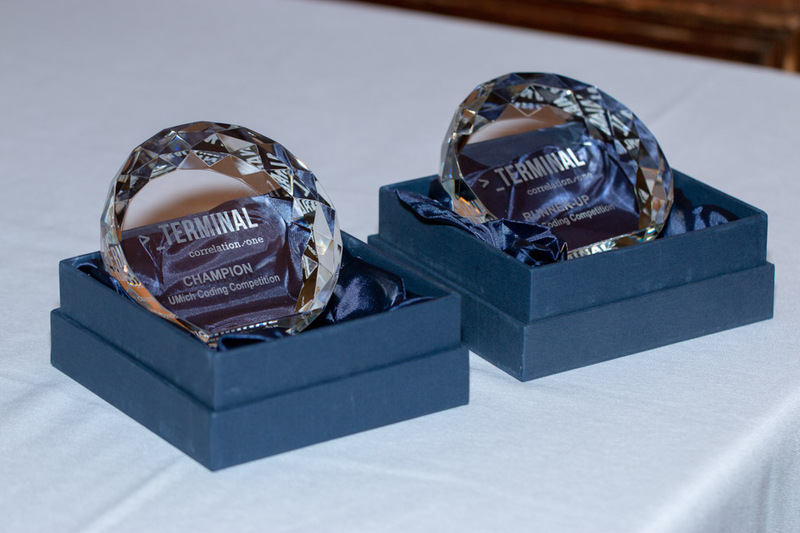 The trophies for the two winning teams. 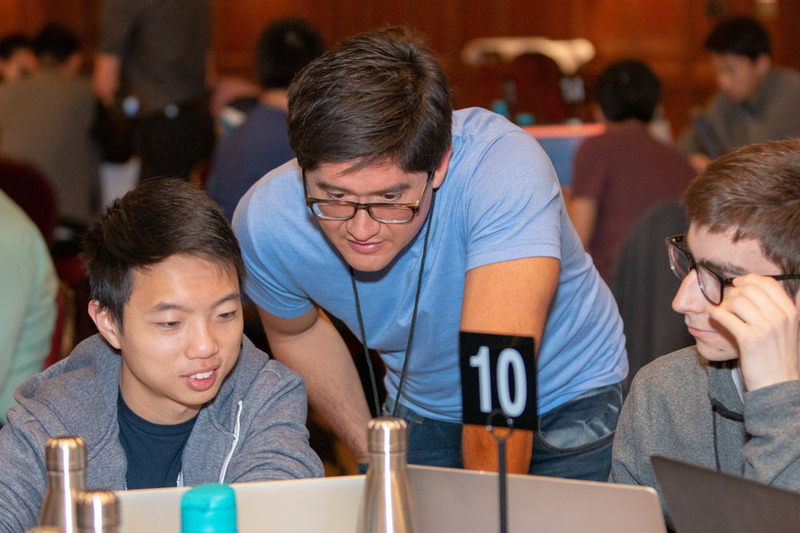 One of the teams working on their coding. 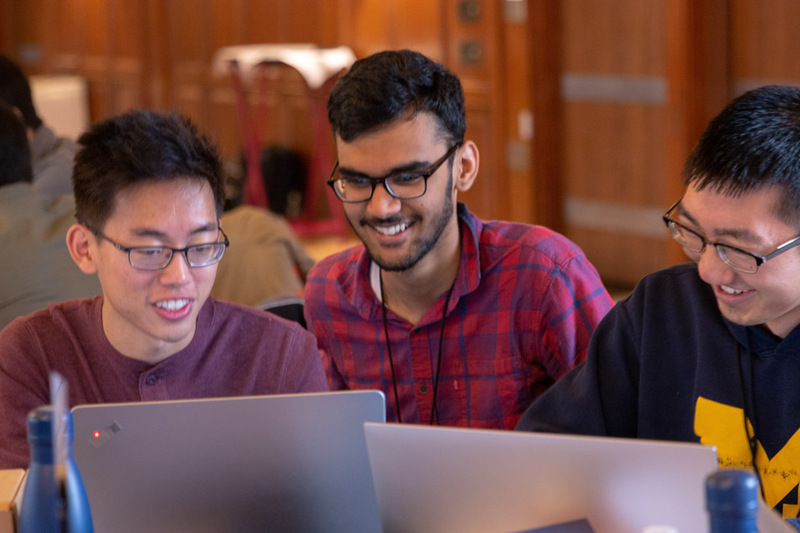 Who knew coding could be so fun?! 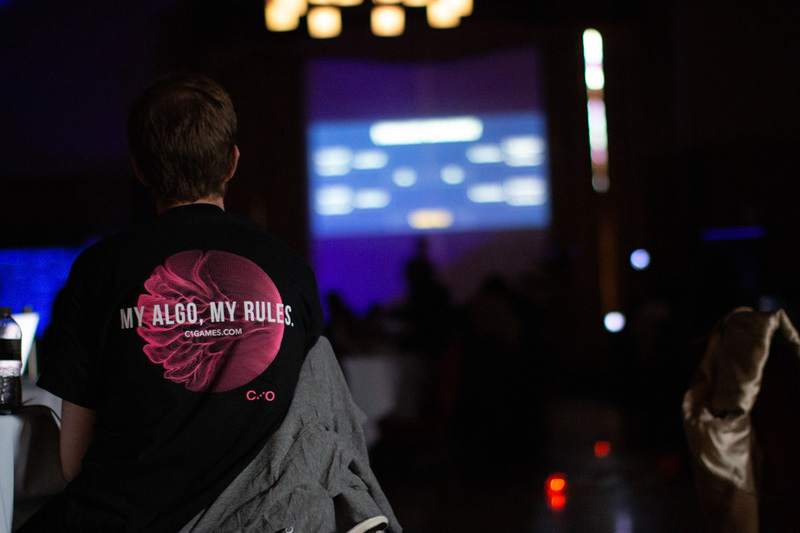 After they finished coding, they watched each other’s algorithms play out on the big screen to witness who the winners would be. A representative from Citadel Securities spoke at the event. 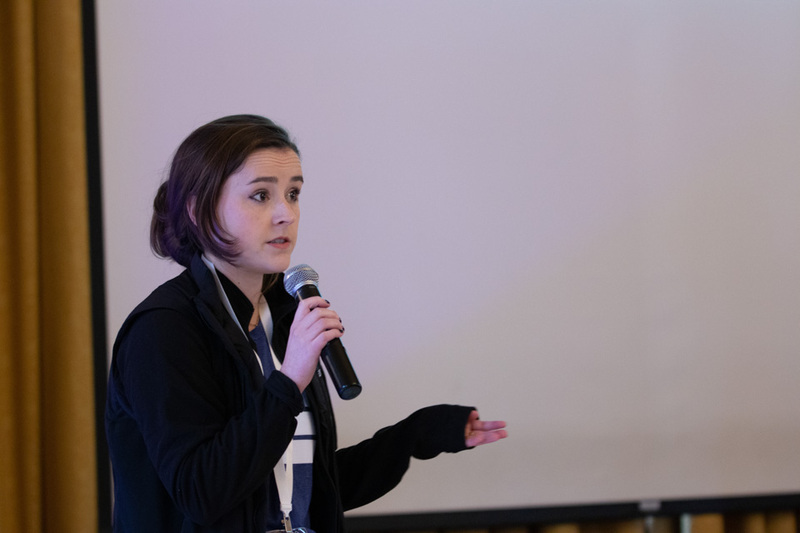 Citadel rep. spoke with students casually about their interest in working with coding after college. A group photo of the two winning teams with their trophies! One of the winning teams and their celebration. The other winning team, having fun with their trophy. 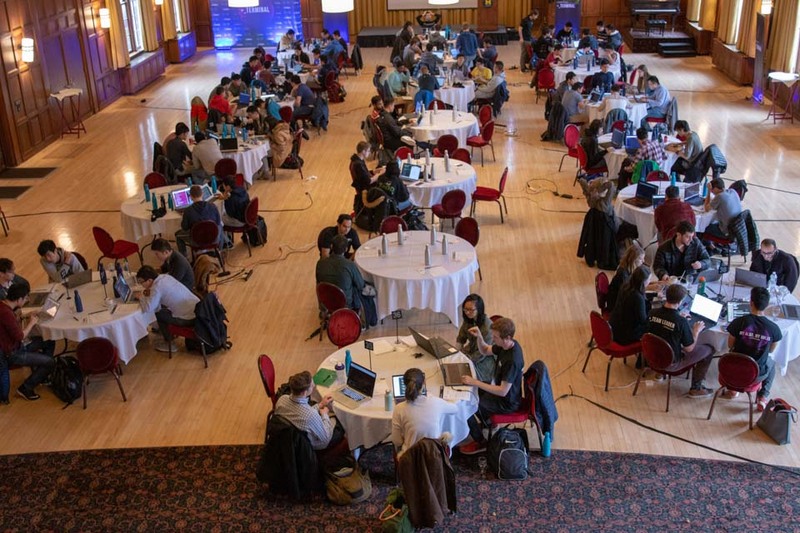 The Michigan League, where the Coding Competition took place.